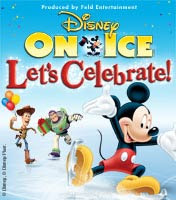 Pacific Coliseum in Vancouver, BC on Saturday, November 27, 2010 at 7:30PM. Go to Ticketmaster and enter the discount promo code “MOM” to get 56% Off Price Level 3 Tickets! Price Level 3 tickets are still very nice seats in the Lower Bowl. These regularly cost $40.25 per ticket. With the code, you’ll only get them for $17.75 each! This is a limited time offer and tickets are selling quickly so buy your tickets now before they sellout of the promo code ends. Enjoy! Press the “Like button” at the top of this post to share the deal with your friends and family so they can take advantage of the deal as well! This is a limited 2-day only sale that will expire tonight at on Tuesday, October 26, 2010. Click here to buy now or for more information about the deal. Don’t miss out! Includes one Party Pass. Tax and shipping included. Party Passes will be mailed to each buyer and should arrive by Friday Oct. 29th. Passes are non-refundable. May purchase passes for your friends. The Party Pass purchased today is good for 6 months at over 40 restaurants, bars, and clubs in Vancouver AND Victoria (yes, you can use the 1 Pass in both cities). Some of the benefits to this handy card include no cover, no line, and/or VIP privileges at your favourite clubs. Local bars and restaurants are offering 10-25% off of food bills, and other amazing food/drink specials that cannot be found anywhere else. We know, this Pass sounds almost too good to be true! You can use the Party Pass as often as you like, but the deals are valid exclusively to the cardholder so make sure your friends have a Pass as well. Click here to see exactly where The Party Pass can be used at and what their exclusive deals are. While saving you money and keeping you in the know with what’s happening in your city, the individuals behind The Party Pass are also donating a portion of each sale to a local charity in Vancouver (Covenant House) and Victoria (Community Living Victoria). Be sure to use your Party Pass this Halloween at Vancouver’s newest bar, Joe’s Apartment. This local hot spot is hosting a Halloween party on Sunday Oct 31st – A Scary Dinner. Party Pass cardholders who still don’t have plans for that evening can show up before 11pm and will get in for 1/2 price cover charge ($8 instead of $15). Click here to buy yours now before you forget and miss out on the deal. This is a limited 1-day only sale that will expire tonight at midnight (Monday, October 25, 2010). Click here to buy now or for more information about the deal. Don’t miss out! Limit 10 per person. Limit 1 per order. 30-day return policy. Not valid with other offers. Agoo Apparel offers a chic line of comfortable activewear for freshly born babies to nine-year-old tykes in an extensive online emporium. Adorn an active baby girl in a criss cross onzie ($28), or give a budding hipster a head start by dressing him in the rhinoceros-themed rock steady tushie top ($20). Agoo offers a colourful array of tushie huggers, leggings, outerwear, and accessories, with the mix-and-match potential to ensure that your spawn is swaddled in a soft selection of stylish wears. Suit your rain-bound babe in the puddle-thwarting violet puddle jacket ($37.99), and accessorize her strands with an Agoo headband ($9.99). All of Agoo’s apparel is constructed with flexible, UV-resistant fabrics, ensuring that your tot stays shielded from harmful ultraviolet rays and lasers while retaining the range of motion necessary for active children. So stock up on durable sporting clothes for your daughter or son, or gift this Groupon to a harried parent looking to dress her active family in a cute and colourful closet of new clothing. Agoo Apparel has received lots of press, including a feature by Celebrity Baby Clothes. The clothier has more than 4,400 Facebook fans, and you can read customer testimonials as well. 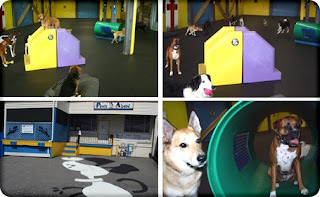 Paws Ahead Doggy Daycare understands that your dogs are part of your family and, while you are away during the day, you want to be sure that your pal is being well taken care of. Our daycare staff is experienced with handling dogs of all breeds and will make sure they receive the best possible care. Your dog’s safety is very important to us. Paws Ahead has a 4000 sq foot warehouse covered with rubber matting to prevent injuries while dogs are playing. We have a secure covered outdoor area for bathroom runs, thus eliminating the possibility of your dog getting loose while being taken for walks. For your active dog, we have plenty of space to play fetch, tug, or they may get into a game of catch me if you can. We offer lots of exercise, so we send them home happy and tired. For the less active dog, we offer cuddle time and beds to curl up on. You can drop your dog off on your way to work and pick them up on your way home, or drop them off for a 1/2 day of fun while you take time to do your own thing. Enter the promo code “SPOTTED” to get Free Shipping on any MAC Cosmetics online order to any Canadian address. The code expires today (Monday October 25, 2010) so make sure you take advantage of the Free Shipping deal before it expires. Click here to visit and shop MAC Cosmetics. La Senza currently has a very good deal on Bras. Take $10 Off when you buy 1 bra, or $25 when you buy 2 bras. This sale is available online or in-store. If you’re shopping online, enter the proo codes “10DOLLARSOFF” when buying 1 bra or “25DOLLARSOFF” when buying 2 bras. This is a limited time only offer. Click here to visit La Senza’s website now to shop online. Press the “Like button” at the top of this post to share the deal with your friends and family so they can take advantage of the deal as well. This is a limited 3-day only sale that will expire at midnight on Sunday, October 24, 2010. Click here to buy now or for more information about the deal. Don’t miss out! Includes a 10 session punch card. Can be used towards gym facilities, squash courts, and tanning beds. Tax not included. Limit 3 per person (may buy more as gifts), Cannot combine with other offers, no cash value. Members of Sport Central have joined an elite facility offering a unique blend of fitness and sport. With leading edge equipment, technology and unmatched amenities, Sport Central gives individuals the total 24 hours a day, 7 days a week – train, tone, work, play experience. Inside this sprawling fitness/gym structure, fitness afficionados will find out why Sport Central is the premier fitness and sport centre in the Greater Vancouver area. Top of the line cardio equipment such as treadmills, elliptical trainers, bikes, and steppers compliment the large free weight section and upscale amenities. Choose from selectorized equipment lines such as Apex, Altantis, and Paramount or plate-loaded equipment from Hammer Strength and Ivanko. Sport Central also has 5 regulation singles and 1 North American doubles squash courts with full height ceilings, even lighting, and an air ventilation system. Non-members are also welcome to ask about the squash drop in program or punch card rates. Unique to Sport Central is a womens-only area which includes two lines of custom strength equipment designed specifically for ladies, a selection of free weights and a multi-station workout area. State-of-the-art cardio equipment is also apart of this female only section of Sport Central. And don’t forget, today’s offer can also be used towards their tanning beds, so you can really look your best. The Replay Lounge offers an area to unwind after long hard workouts and features a large patio and an indoor fireplace with large sofa in lounge area. Big screen projection televisions for all Canucks regular season, pay-per-view and playoff games as well as a number of pool tables, and arcade games are also located in this lounge area. Replay’s also has a wide variety of local domestic and import beers and wines to enjoy in house or for offsales. Fresh daily specials and soups are available for dining in or take-out. Limit 1 per person. Limit 1 per table of 2. Reservation required. Must be 19+ to redeem slot play credit. Know your limit, play within it. Tax and gratuity not included. Not valid with other offers. Inventive interpretations of upscale Italian eats populate Tramonto’s savoury dinner menu. Travel toward taste with a starter such as the foie gras ($21), with Kashmiri-spiced poached peach and caramelized Belgian endive, or attempt the ahi tuna tartar ($13), accompanied by cucumber cups, tobiko, balsamic reduction, and a tomato chutney. The caprese salad ($13) recruits a herd of buffalo mozzarella, heirloom tomatoes, fresh basil, and balsamic to outrun hunger pangs, and the sockeye salmon ($29) stars as a main dish, steamed and raised with braised leeks, potato gnocchi, tomato confit, and a vermouth cream sauce. The wagyu beef (available at market price) asserts itself as a favourite in the meat-seeking mouths of carnivores, and the chicken ($27) comes stuffed with truffle and goat cheese. After an exciting meal, saunter into the luxurious casino and take your chances at making $10 grow exponentially, like a colony of chinchillas or a love for reality cooking shows. Sleek black walls, selective lighting, and oversized windows imbue Tramonto with the essence of effortless luxury. 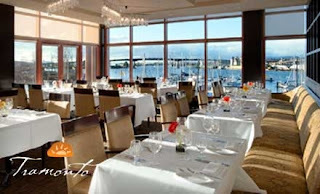 Its location within the River Rock Casino Resort adds to the elegance and allows diners to delve into gambling endeavours without having to walk outside into the unlucky atmosphere. Vancouver magazine featured Tramonto and OpenTablers laud the eatery with eight Diners’ Choice Awards. More than 100 TripAdvisors give River Rock Casino Resort a four-star average. This is a limited 5-day sale that will expire at midnight on Tuesday, October 26, 2010. Click here to buy now or for more information about the deal. Don’t miss out! $24 for a $49 wall tattoo. Take you walls to a whole new level! At Surface Collective our goal is to help redefine your space in ways you never thought of before. Since 2006 we have been on the forefront of introducing wall decals or Wall Tattoos™ as a DIY home decor application. We have surfaced in both commercial and residential spaces and continue to bring you unparalleled designs by highly acclaimed creatives from across the globe. Our stance is simple. Good design should be accessible to anyone and the application should be easy and without limits. Our designs are original and exclusive to our collection and we are dedicated to creating new designs and products to inspire the space around you. 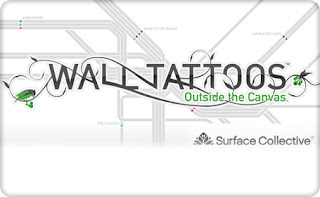 Our Wall Tattoos™ are cut from a specialized vinyl that is specifically designed for home décor. Unlike standard high gloss signage vinyl, our product has a matte finish that gives a gorgeous painted look without bleeding or permanency. The edges are crisp, the effect is stunning, and the material is removable without leaving behind any trace of adhesive. Perfect for the temporary renter or for people who change their mind with the seasons.